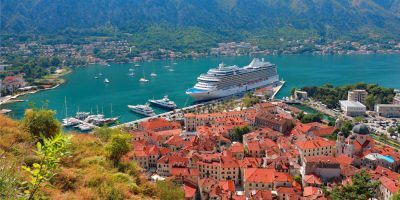 Oceania’s Riviera and the Italy/Adriatic Cruise is a winner. As our ship glided slowly through Austria’s famed Wachau Valley, a silhouette of a Medieval town gradually emerged from the soft, white mist at a bend in the river. Near the tip of the peninsula a blue Gothic church spire rose high above a set of timeless, gray buildings; a thick fortress wall snaked up the hillside behind the town, ending at the ruins of a mysterious castle whose tales of triumph and tragedy now lay silent. This moment confirmed our decision to embark on a Danube River cruise during the Christmas season. Convinced, we now had to pick on a cruise line. 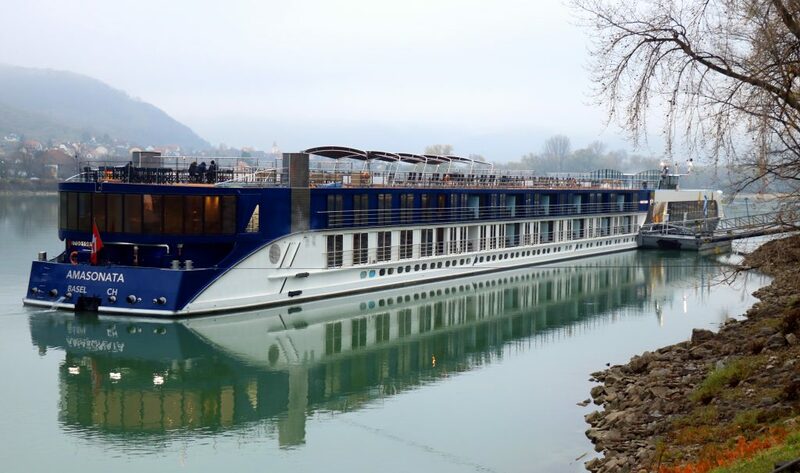 After doing my internet sleuthing and talking to other travelers, we chose a top-rated operator, AmaWaterways. Looking back on our experience, we feel that this choice suited us perfectly, since the family-owned AmaWaterways (Ama for short) has tailored its cruises to attract travelers with different fitness levels, including active visitors like us. As we cruised along the Danube from Vilshofen, Germany to Vienna, Austria, we saw firsthand why this has become such a popular means of travel, especially for Americans. As I told my seasick-prone sister, there is no discernable motion on a river cruise, so motion-sickness is not an issue. Security, too, was off the list of concerns since the crew tightly monitored everyone who got on or off the ship. I particularly liked the fact that our excursions, drinks, meals and fitness programs were included in the fare (only special excursions and concerts cost extra). While more sedentary passengers often enjoyed their leisure time aboard the ship, they could also join “gentle walker” tours; my wife and I appreciated having the option of going with the fast walkers. In addition, we loved being able to start each day doing pilates and yoga with the ship’s fitness instructor. Deciding on a time to year to do this cruise posed a dilemma for me. If it weren’t for the Christmas markets, I would have preferred late Spring or Fall to avoid the cold, gray, sometimes rainy weather. 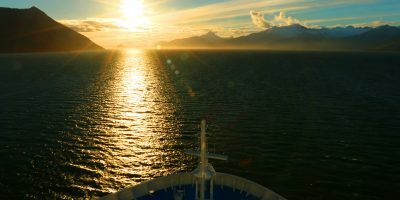 But as other passengers pointed out, winter cruising’s benefits include lower airfares and hotel rates, fewer ships plying the rivers, and negligible crowds. We stayed so active that we didn’t spend much time in our comfortable room, or on our cozy balcony, though occasionally we sat on our bed and gazed at the passing scenery through the large glass sliding door. During particularly scenic stretches we joined the other passengers in the lounge where we sipped wine and hot coffee and watched the world drift peacefully past us. Each day the ship stopped at one, sometimes two, towns where we were given the option to join a walking tour, a bike tour, or to go off on our own. Some of our favorite places included Passau, Germany; Cesky Krumlov, Czech Republic (a Medieval town and Unesco World Heritage Site); Melk Abbey, Austria (900 years old, with the most beautiful, ornate Baroque church I’ve seen); Durnstein, Austria (where England’s King Richard the Lionheart was held prisoner in 1193); Bratislava, Slovakia (with a rainy but fun Christmas market). Wireless earphones allowed us to easily listen to our guides’ explanations, all of whom were remarkably knowledgeable and fluent in English. 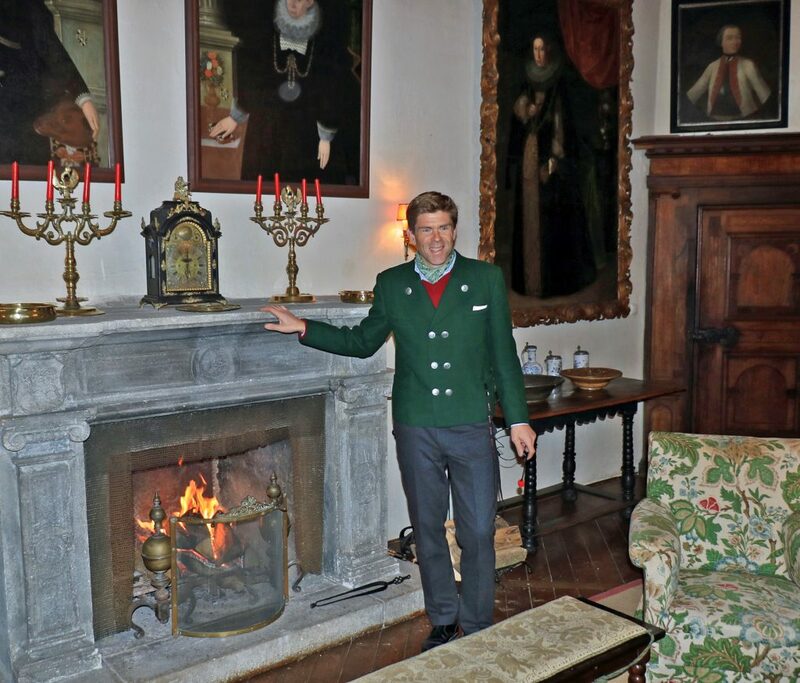 However, my favorite tour, at Castle Clam in Austria, was led by its owner, Count Carl Clam, who represented the 16th generation of a family that has lived in the castle since 1454. The handsome, young Count, attired in a green, double-breasted jacket with a white kerchief in the pocket and an elegant scarf around his neck, regaled us with tales of his ancestor’s battles, romances and adaptations to modern times. Paintings of many of his noble lineage surrounded the massive, stone fireplace, and before entering the family’s 500-year-old private chapel, we passed his family’s collection of knights’ armor, lances and captured Ottoman swords. I was captivated by the way that Count Clam made his family’s long history come alive. Back on the ship, we got a lesson in travel flexibility after our proposed stop in Budapest was cancelled due to the low water levels of the Danube. Europe had suffered from unusually high heat and low rainfall all summer, and even in late November the Danube’s water level was still too low for riverboats to navigate certain stretches. Quick to handle this challenge, the Ama folks adjusted our itinerary to make the best of the situation and I never heard any complaints about the revisions from our fellow passengers. When our ship finally docked in Vienna, we were eager to explore some of the city’s twenty Christmas markets, ranked among the best in Europe. We started with the city’s largest and most colorful Christmas market in front of the Rathaus or Town Hall. There we ambled past rows of booths offering spicy sausages, sweet pastries, various flavors of hot, spiced wine, and of course, an endless assortment of colorful Christmas ornaments. Twinkling lights filled the trees and skaters of all ages glided along an ice-skating path that curved for hundreds of feet through the gardens next to the market. We spent three days discovering for ourselves why the Economist Intelligence Unit rated Vienna the #1 city in the world for livability in 2018. 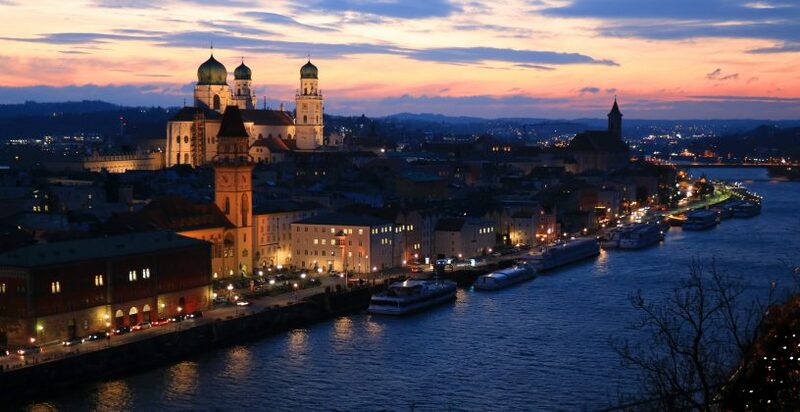 The answer, in part, lies in its plentiful and inexpensive transit options, world-class art and history museums, frequent music events and its incomparable Vienna Opera House. Add in the charming Christmas markets and the city becomes even more irresistible. Despite the river conditions that had impacted our cruise itinerary, we felt that our Christmas cruise had exceeded our expectations. Snowy landscapes and bustling Christmas markets had provided an indelible memory of our first winter river cruise. Looking back at the comfort, culinary delights and fascinating excursions we enjoyed during our “Ama adventure,” we are already contemplating our next river cruise. The problem is, which one? Doug Hansen is a travel writer and photographer in Carlsbad, CA. See more photos and articles at www.HansenTravel.org or Instagram @doug_hansentravel.